If You Could Fix One Thing, What Would It Be? All day long we tolerate stuff we know is dumb because "that's just the way it is." We don't have the time to come up with solutions, or don't own the problem. But what if we could ask the world's brightest minds in business how they would fix the broken things we all know should — and can — be? That's just what we've done for this LinkedIn series, "Let's Fix It." 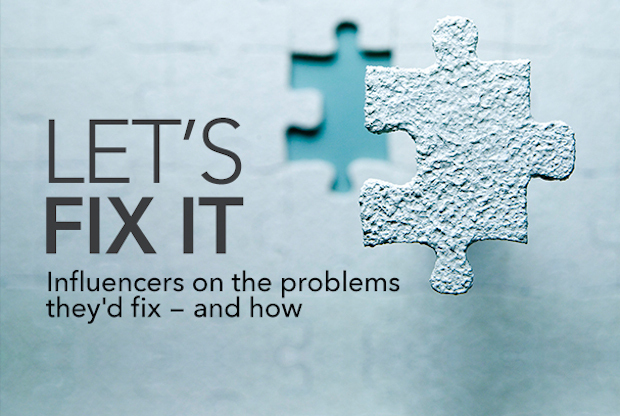 We asked more than 60 Influencers to identify a vexing problem — big or small — and propose a workable solution. Their scope ranged from global initiatives like reversing climate change to closer-to-home annoyances like seemingly-endless meetings. But whether they chose to sketch out moon shots or just get that pebble out of our shoes, the common thread in their fixes was inventiveness — and viability. Among the Influencers who went big was Richard Branson, who describes the decades-long war on drugs as “a spectacular failure — a waste of public resources and a boon to crime cartels.” His solution? Surprisingly more attainable than, say, space travel for the masses. What are the odds of two sisters growing up to be CEOs? Pretty good if you were raised with Denise Morrison, the CEO of Campbell Soup. (Morrison’s younger sister Maggie Wilderotter is the Chairman and CEO of Frontier Communications.) Their mother taught them “ambition is a part of femininity" while their father turned “family dinners into tutorials on business, money, sales and profit margins." He shared stories about her favorite childhood topic – new product launches, of course. With an upbringing like that, here’s how Morrison says more companies can bring diversity to the C-Suite. Unemployment has an undeniable “information symmetry problem” — neither recruiters nor job hunters really know what the other needs or wants, says Google’s HR Chief Laszlo Bock. “[Recruiters] all think we are great at assessing candidates. We’re not. 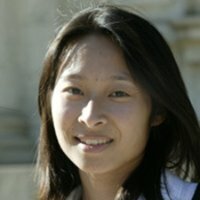 We are biased, ask bad interview questions, rarely go back and check if our predictions were correct, and so on.” Here’s how Bock would systematically reverse bias in recruiting. So how do we go about solving the world’s problems? It’s clear we need more groundbreaking ideas. Perhaps it’s heeding Ray Chambers' call to develop a better global emergency health response system so we’re ready to respond to the next Ebola. Maybe it’s Angie Hicks' mission to end lead poisoning or Peter Guber’s advice to ditch the career ladder once and for all. In the coming days, we’ll cover more problems — and reveal more innovative solutions: Jeffrey Selingo on the broken system of paying for college ($100K in student debt, anyone? ); Yossi Sheffi on implementing a European-style gas tax; Paul Sagoo on radically changing the way cars work (“Over to you, Elon,” he writes); and more. Would it be something that you can get done tomorrow, like Jeff Denneen's strategies to “Kill the weekly meeting!” (emphasis his). Or would it be something that might take a lifetime, like finding ways to cure cancer or reverse climate change? Tell us: If you could solve one thing, what would it be? Write your own post; be sure to include the hashtag #FixIt in the body of your post so we can find your great ideas.